The (thankfully) heated indoor/outdoor pool stays open all year round. You really can't go wrong in a place named Serenity. Is a new Uno champ in your family's future? Only the Wild cards can say for sure. Soak until you're out of crazy tales from the slopes, then burrito-wrap everyone up in towels and run-walk back to your suite. Round up all your ski/snowboard gear – the Red Pine Gondola is waiting to whisk you up-mountain. Slopeside location gives you blissfully easy ski-in/ski-out access. The indoor/outdoor pool gives you options (and options are good). A day or two on the slopes and the spa sounds even more tempting. Go for it. Grab towels and walk/run to the hot tub – don't let yourself think about the chilly walk back. Reward the hiker in your crew who can name the most birds. It's an easy 12 minute drive to the Round Valley trails. Just a 3 minute walk to Canyons Golf Course? That calls for multiple tee times. Best of State award winner in an impressive seven categories including Best Ski Resort, Westgate Park City is tucked into the stunning Wasatch Mountains at the base of Canyons Village. With its ultra-convenient ski-in/ski-out location, Westgate gives you primo access to hundreds of runs, so you can take full advantage of the incredible 355-inch annual snowfall. The soaring, light-flooded open lobby invites you to find a seat and chat or read near the multi-sided fireplace, but that may have to wait until after you let the kids get their wiggles out in the blissfully warm year-round indoor/outdoor pool – Utah’s largest. Let the pros at Aloha Ski & Snowboard get your crew set up with the right boots, boards and skis – most of which you can unload with the ski valet each afternoon for overnight storage (and no schlepping!). Let the kids pick out the snacks while you stock up on drinks at the onsite Marketplace, then head up to your suite for your own private après ski. If you’re excusing yourself from dinner duty for a night or two, hit Drafts Sports Bar & Grill for gourmet pub food, stone-hearth pizzas, specialty burgers and the challenge of choosing from over 50 beers from around the world. Or go a little fancier with a table at the Edge Steakhouse, and ask for recommendations on the wine list – it’s one of Park City’s most impressive. Carve out some you-time for OneFitness Camp training sessions and healthy lifestyle workshops, and unwind at the rejuvenating Serenity Spa, which more than lives up to its name. 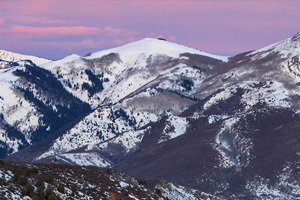 Named among the Top 10 Ski Resorts in North America by Ski Magazine readers, Park City is home to the U.S. Ski & Snowboard Association. And it’s no wonder, with 426 downhill trails across 9,326 acres, it’s a wonderland for fans of outdoor sports. Nearby Gorgoza Park offers lift-served tubing, mini-snowmobiles and Fort Frosty for kids. Things don’t slow down in the summer either, when happy vacationer-crowds descend for music festivals, art festivals and culinary events like Savor the Summit, with its 1,500-seat table running the length of historic Main Street. No matter where you’re headed the complimentary shuttle service can get you there, with stops at Main Street, Deer Valley Ski Resort, the Montage, Tanger Outlets and local grocery stores for anything you may still need to pick up for dinner.